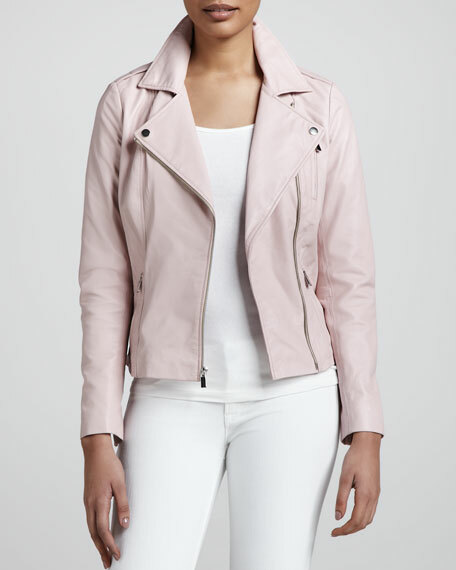 Smoothly step into the warm-weather leather trend in our exclusive motorcycle jacket, available in luscious colors. Napoleonic collar; asymmetric front zip. 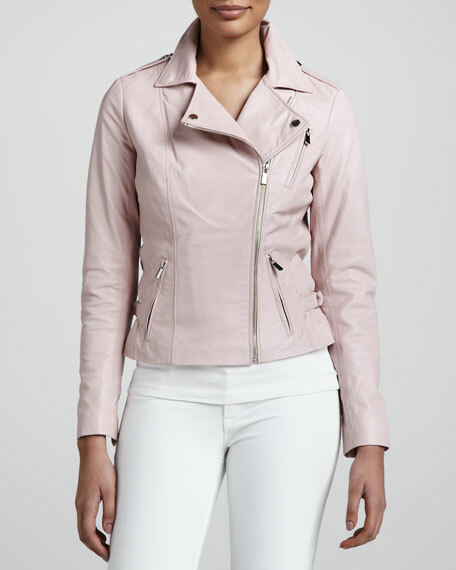 Front angled zip pockets; zipper pocket at left chest. Fitted silhouette; contours at waist.